Itchy Skin at times can be very irritating. Learn in this article Remedies for Itchy skin. We will tell first what itchy skin is, causes of itchy skin and then effective tips about How To Stop Itchy Skin. What is an Itch: Itch is an irritation in the skin that causes an impulse to scratch. Itches are very common problem. It can be limited to one area of your body (localized). Many times it gets generalized and occurs all over your body or in many areas of your body. Remedies for localized itchy skin are often easier than the generalized itch. The medical term for itching is pruritus. 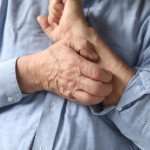 Associated Itching Symptoms: The associated symptoms of itching depend upon the underlying cause. Dry Skin is a common cause of itchy skin. The other common associated symptoms are rash itchy skin, lesions like blisters, or itchy red skin or bumps and itchy skin. The less common, generalized itching skin all over, can be due to some chronic medical conditions, such as liver disease and in such cases you may find no changes to the appearance of the affected skin areas. (i) Psychological reasons, such as stress and anxiety. (iii) Exposure to UV Radiation from the sun for longer periods. (iv) Insect stings and bites, such as that of flea or mosquito bites. (v) Generalized itching including, metabolic and endocrine disorders, such as liver or kidney maladies, cancers, diseases of blood or reaction to drugs. (vii) Genital itching in men & women, accompanied by burning and pain due to genital infections like sexually transmitted diseases, etc. (viii) Itchy skin during pregnancy. Don’t Need to Worry: However, you do not need to worry. Itching in most of the cases normally does not have any serious underlying condition and can be treated with even Home Remedies for Itchy Skin. 1. Avoid Scratching: Scratching leads to a vicious itch-scratch cycle. Scratching only gives you temporary relief and worsens the itching and underlying problem itself in the long run. Moreover, the scratching can break your skin and open your skin for bacterial infections. So the foremost recommended remedy for itchy skin is to stop scratching it. (i) Avoid hot water showers or bath. Hot showers or baths may be relaxing, but deprive your skin off the natural oils and result into dryness of the skin and itching. In winters you can use lukewarm water or if you are taking hot showers in winters, consider limiting the time spent bathing to a few minutes. (a) Running tap water over the affected area or placing cold clean soft washcloth over the itchy skin. (b) Taking cool water showers. (c) Using ice packs available at local drug store or you can use ice cubes in a plastic bag. 3. Moisturizer: Using moisturizer is our 3rd step for Itchy skin treatment. In most cases, moisturizer helps a lot to stop itchy skin. After taking shower with cool or lukewarm water, pat your skin dry with a soft towel. Then apply a good quality moisturizer to your damp skin. This will lock in the moisture and help in preventing dry skin, as the dry skin always aggravate itching. 4. Look for an effective moisturizer. (i) Instead of lotions go for moisturizer creams (Even better are ointments). Lotions are diluted with water or alcohol and as such are not that effective for chapped and dry itchy skin. For dry itchy skin, cream moisturizers which are thicker are the best. (ii) Although petroleum jelly is greasy, but is a very effective remedy for itchy skin. It gives a very soothing effect to the itchy skin. You can reapply it over the affected areas as and when it wears off during the day. 5. Avoid Harsh Products: Avoid using harsh soaps and deodorant soaps to treat itchy skin. Instead use fragrance and chemicals free, milder products. (i) Baking Soda Bath: Baking Soda has properties to stop itchy skin of almost all kinds. Mix one cup of baking soda to a tub of lukewarm water. Soak in for 30 to 60 seconds and then air dry yourself. You can also treat your localized itchy skin by applying baking soda paste. Add three parts of baking soda to one part of water and mix them to make an itchy skin paste. Apply this paste to affected areas, but do not use it on your broken skin. (ii) Oatmeal bath: Add 1 to 2 cups of finely grounded oatmeal to lukewarm water and soak yourself in oatmeal bath. Alternatively, you can buy a pre-packaged oatmeal mix bath from a drug store. Follow the directions mentioned on the label. Soak in oatmeal bath for about 15 minutes. After the bath pat yourself dry with a clean soft towel and apply moisturizer promptly while your skin is damp. (iii) Juniper Berries: You can get Juniper berries in some of grocery stores. It contains anti-inflammatory substances. You can also mix it with cloves, which contain eugenol to numb nerve endings. To make an ointment, melt 3 ounces of butter. In a separate pan melt a lump of beeswax equivalent to about 2 tablespoons of liquid. Combine melted butter with this and mix well. Add to this mixture about five ground juniper berries and three teaspoons of ground cloves and stir this whole mixture well to make an ointment. Apply this to itchy skin areas. Consider grinding the spices at home as the volatile substances are preserved in whole berries and cloves. (iv) Mint Application: Mint contains sufficient amount of menthol to have anesthetic and anti-inflammatory properties when applied topically. Mint also contains anti-inflammatory rosmarinic acid which tends to absorb quickly into skin. Add one ounce of dried mint leaves into 1 pint of boiling water. Allow the liquid to cool. Strain and dip a clean soft washcloth in to the liquid and apply over the affected areas to treat itchy skin. 7. OTC Itchy Skin Creams: If you are suffering from uncontrollable irritating itchy skin, look for a good quality over-the-counter (OTC) cortisone creams or ointments or the ones containing Camphor, Menthol, Phenol, Pramoxine, Diphenhydramine or Benzocaine as ingredients. Apply a good quality OTC itchy skin ointment as per the instructions on the label of the ointment. Follow above tips about how to stop itchy skin. If after applying above remedies for itchy skin, itching still persists or scratching is affecting your skin or you cannot sleep at night because of itching or the itching is accompanied by a visible skin abnormality, we suggest you consult a doctor or dermatologist for a proper check-up to treat the itchy skin and the underlying condition that is causing the itching. Useful Related Article: How To Have Flawless Skin. You need to take care of your skin inside out by eating healthy. You will love the youthful appearance of your skin. It’s been over a year now since I got this condition which I don’t even know what it is. My skin itches every time after taking a bath and the itch takes about less than 10minutes. From last year when I encountered this problem I started changing soaps and lotions but still there is no changes, Honestly I am very stressed and hopeless because I don’t know what could be the cause and how I can really resolve this matter. Please help! Try using aloe vera gel. Preferably, use the fresh one. Take a leaf from an aloe vera plant and cut it open gently. Now, using a spoon or blunt knife scoop out the jelly-like substance inside. Apply this gel. If you don’t have access to an aloe vera plant, buy a good brand.